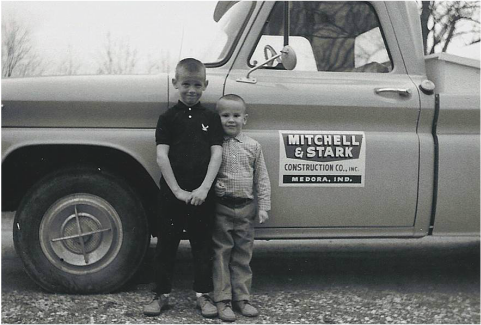 Mitchell & Stark Construction Co. Inc.
Mr. Ralph Mitchell & Mr. Floyd Stark founded Mitchell & Stark Construction Co., Inc. in 1955. Ever since then Medora, Indiana has been the place of the home office. 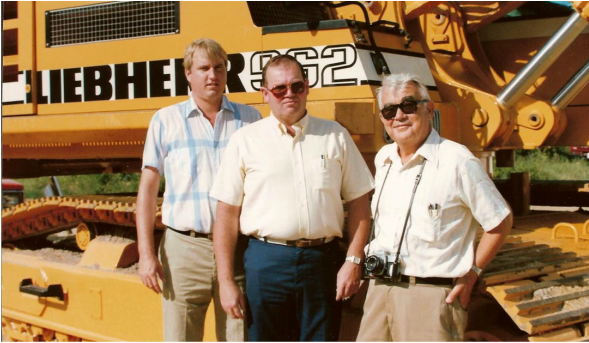 In 1981, Mr. Mitchell chose to expand the business and opened a new office in Naples, Florida, which has proven to be a successful venture as well. 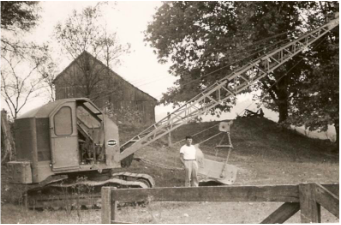 As you can see from the photographs, the equipment and technology have changed over the years, but Mitchell & Stark's dedication to its customers and employees has not. 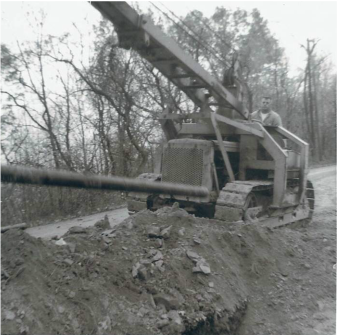 The engineering and managerial expertise of Founder, Ralph Mitchell, Former President, Fred Harrision, and CEO, Brian Penner has made Mitchell & Stark Construction Co., Inc. an industry leader for the past 60 years. 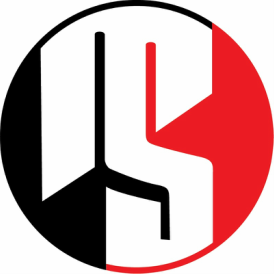 The long stability of the company can greatly be attributed to their integrity, leadership, and vision. At Mr. Mitchell's recent passing, his family and everyone at Mitchell & Stark are very grateful for the man he was, and we remember all he did to make this company what it is today. He was a loving husband, father, and grandfather. He was a member of First United Methodist Church in Brownstown. 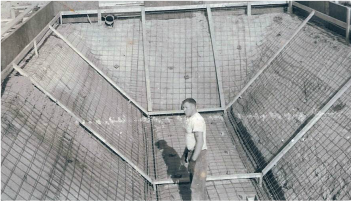 He enlisted in the United States Army in 1942 and served until 1946. He served with the Third Infantry Division in the European Theater from 1944 to 1946. He achieved the rank of captain and received the Purple Heart, the Combat Infantry Badge, European Occupation Medal, two unit citations and the Crux de Guerre while attached to the Free French Division. 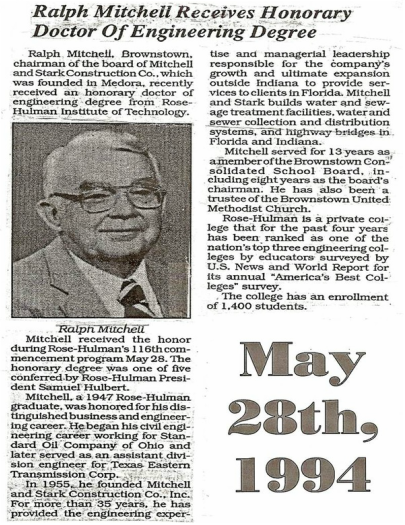 Ralph received his Bachelor of Science degree in civil engineering from Rose-Hulman Polytechnic Institute, where he later received an honorary doctorate degree. 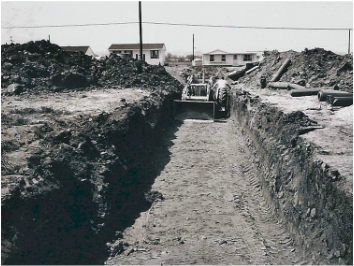 He was a professional civil engineer and founder of Mitchell & Stark Construction Co. He was also a member of the American Legion, Lions Club, Elks Club and Masonic Lodge.